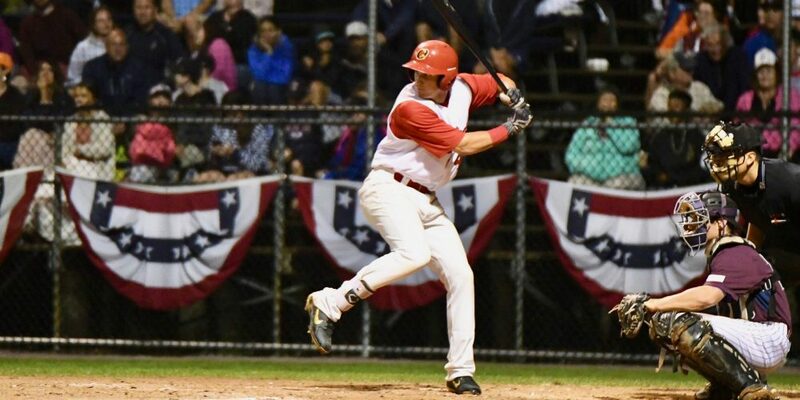 Three potential top round arms and a couple big bats highlight the Orleans Firebirds this summer. At five-foot-eleven, 180 pounds, Steer was previously known as a defense-first third baseman with an average to slightly above average arm. However, at third base it’s mostly all about the bat and his lack of power may necessitate a move to the keystone at the next level. He did impress this summer slashing .304/.351/.482 while competing in the box and keeping it simple. Setup with an open stance and high hands. Took a line drive swing and used all fields. Showed near average raw power in batting practice, getting to every bit of it during the games by hitting five home runs with nine doubles in 149 plate appearances. Used his bat speed to drive a middle-in fastball deep to left field for one of those five. Ran a 4.46 on a groundout to second base. With his continued above average defense and on-base threat at the plate, Steer is a potential early round pick on Day Two next June.